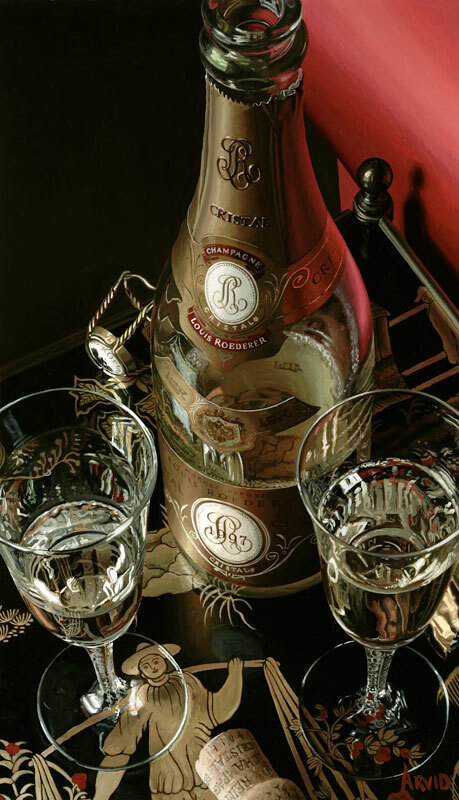 Thomas Arvid captures our wonder with his over sized still life compositions of wine and the rituals surrounding it. Arvid astounds viewers with the intricate details of his images and with his mastery of light, depth, and reflection. The magic of his painting is in Arvid’s ability to visualize and chronicle an entire scene beyond the frame – to tell a story of enjoyment and the good life –using lush color and adroit composition. 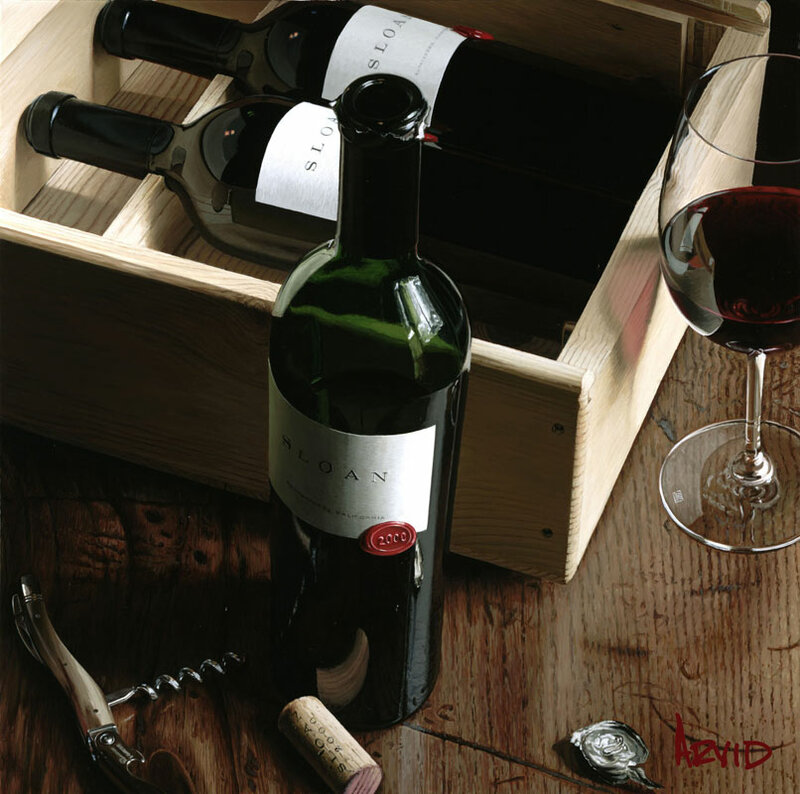 Arvid is passionate about art and wine: a collector of both, he strives to capture the pleasure of a life well-lived on each canvas. 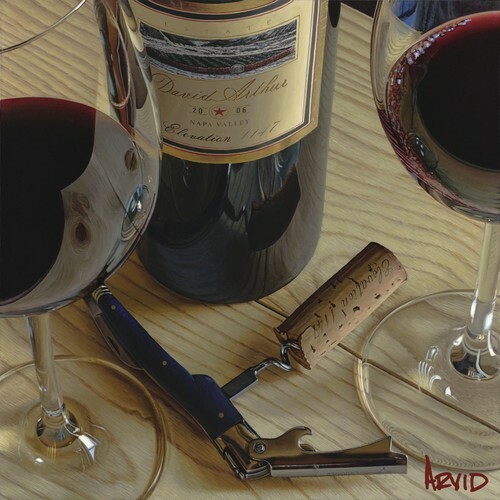 Arvid’s approach to wine and painting is surprising, given his background as a Detroit native raised to parlay his inherent artistic talent into a secure job in the industrial complex. 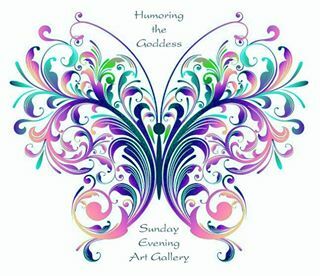 ‹ PreviousA Virtual Art Gallery at your Fingertips! Haha, Australian imports are some of the finest… And wow, the paintings are so articulate, I thought they could be photos. Beautiful work. Some of those vintages will be hard to come by after the fires in California. Indeed. Perhaps he will need to paint European imports!